The very first task for the BW/4HANA team was to arrive at the right set of tools with the right versions, which would allow us to use BW4/HANA seamlessly. 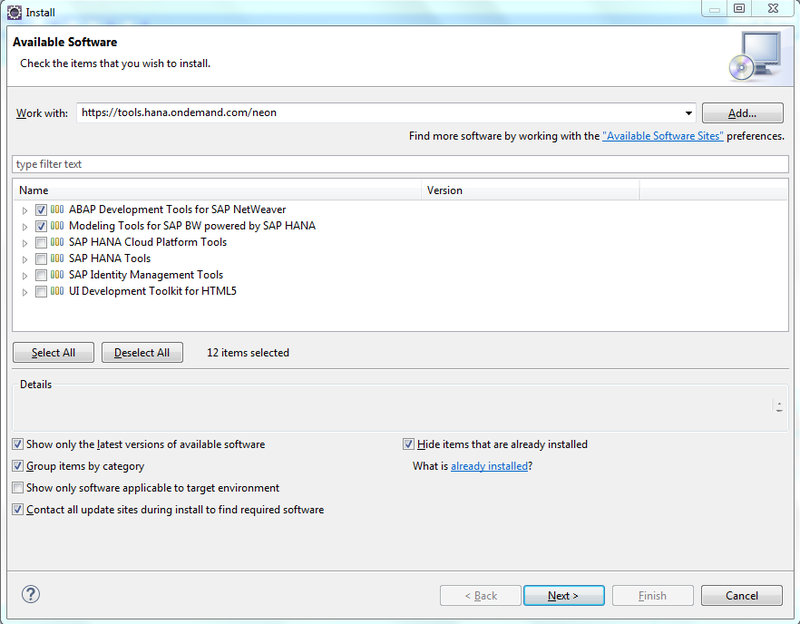 Based on SAP’s Installation Guide for Modeling Tools for SAP BW/4HANA and SAP BW powered by SAP HANA, under the section “Installation Requirements”, it is necessary to use SAP HANA studio SP11 or higher. It is recommended to go through that section, to check for other requirements such as Operating System, Internet Explorer and SAP GUI versions. 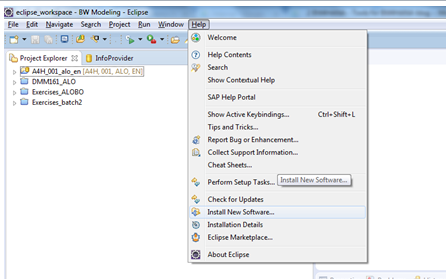 What worked well for us is using the Eclipse Neon version and the latest BW Modeling tools (version 1.15 & above). In this section, we will provide step by step instructions on how to download and install these tools. 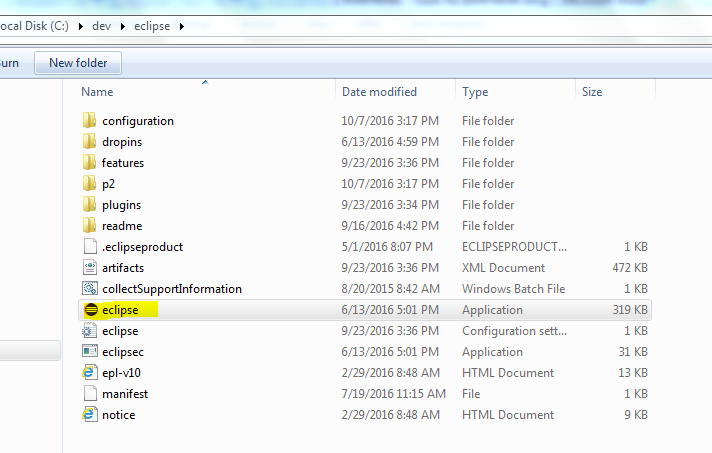 Click on the Eclipse executable file to start up Eclipse (Make sure to “Run as Administrator” if you do not have full access rights to your machine). 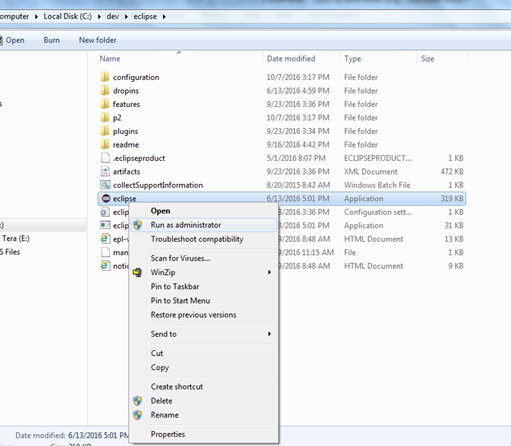 The Eclipse Launcher will first pop up, asking you to select a directory as workspace. You could replace the path with a location where you would like to store all your developments. For e.g. c:\dev\eclipse_workspace. Confirm with OK. Copy the URL https://tools.hana.ondemand.com/neon and paste it in the “Work with” field and press Enter. 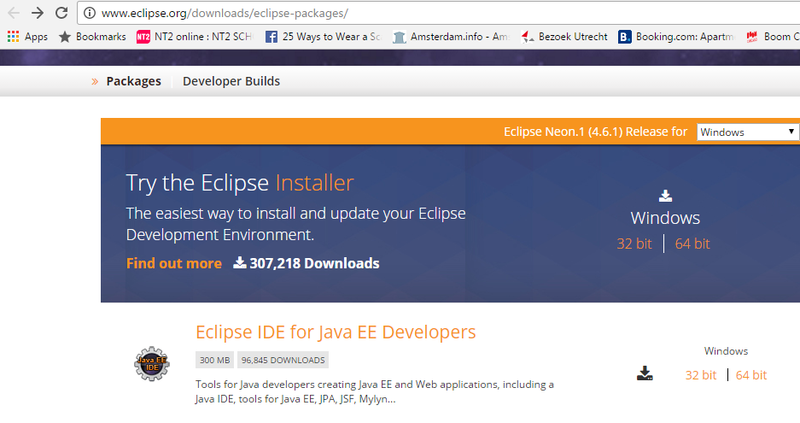 You will get a list of available tools for Eclipse Neon. 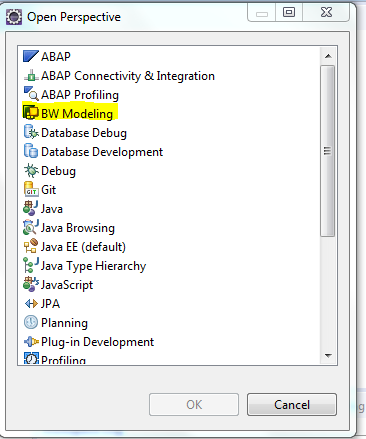 Select “ABAP Development Tools for SAP NetWeaver” and “Modeling Tools for SAP BW powered by SAP HANA” and click on “Next”. The next pop-up will ask you to read and accept the license agreement. Please choose the appropriate radio button and click on Finish. 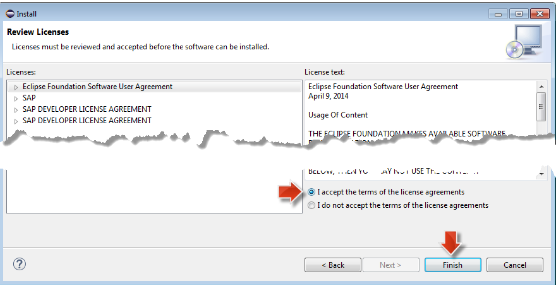 Once the tools are installed, you will be prompted to restart Eclipse. Click on Yes. 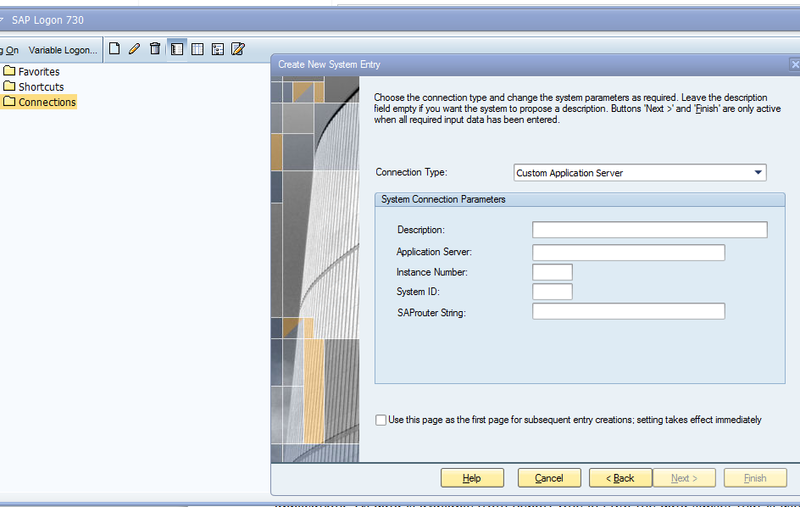 The first step is to create a new system entry in SAP GUI, for the BW/4HANA instance. 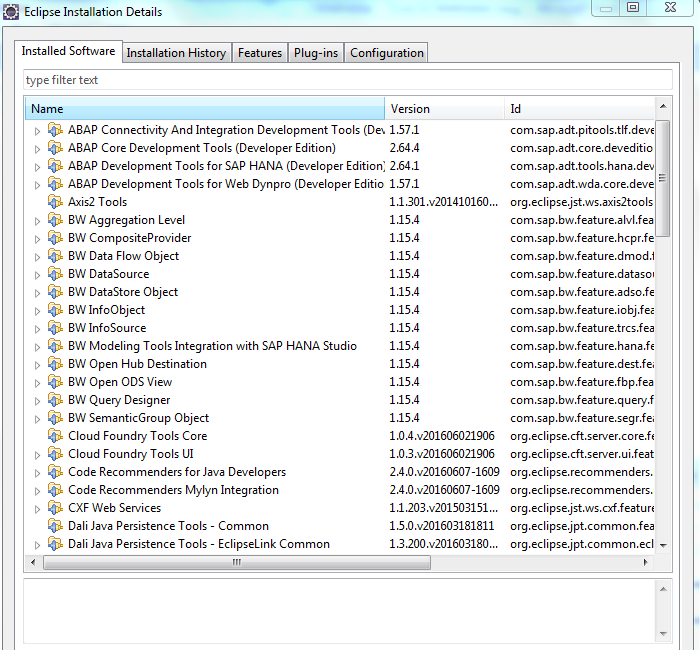 Logging in to SAP GUI is the usual way as you would log in to the classic BW instance. You will immediately notice that you cannot model in RSA1 and so, you have to use HANA Studio/Eclipse for modeling and creating InfoProviders etc. You will then see the “Project Explorer” tab. Right click and select New à Project. Under Business Warehouse, select “BW Project”. 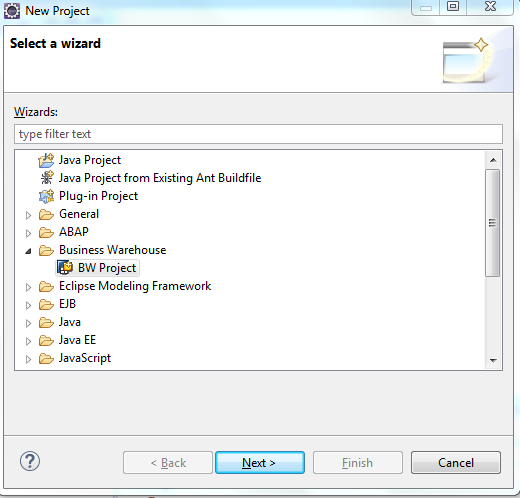 You will be prompted to choose the BW system from the list of system available in your SAP GUI. Choose the relevant system, enter your credentials and voila! You are now connected to the BW/4HANA system in HANA Studio. The next time you open Eclipse, simply try to expand this BW project that you created and the system will prompt you to login with your credentials. Do visit our main blog post, for an overview of other topics on BW/4HANA. SAP BW/4HANA – The Future Starts Now!